Ever wonder what industry insiders know that you, the customer, don't? If so, this thread is for you. Take a glimpse at the secrets businesses don't want you to know. 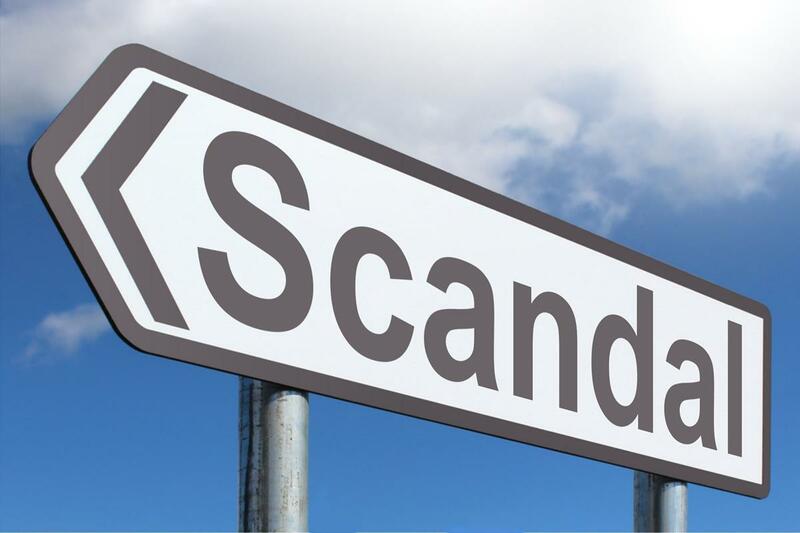 matthewesp asked: What's a dirty secret that everybody in your industry knows about but anyone outside of your line of work would be scandalized to hear? When repairing furniture, a lot of times we just use a marker to cover up scratches. Granted they're carefully selected to match the color of course, but they're still just normal markers. A building my mom cleans was just massively remodeled. They have nice wood desks, and one of the remodeling guys scratched one up badly. He used the marker method....but he didn't do it right, it just looks like a kid came in and scribbled a sharpie on it. Water stains on wood furniture can be removed with mayo. (I work with furniture too *fist bump*). Back in the 1990s, I was watching a playoff hockey game on TV at my Mom's house with a friend. We ordered a pizza and when it was delivered, we set it on my Mother's prized possession walnut table in her living room. From the time I was little, I learned not to put anything on this table. I know it makes little sense, but think of how grandmas cover furniture with plastic. The living room was not to be jacked up in any way. Anyway, after the game was over, I picked up the pizza box and found white markings all over the table. I think the heat had lifted years of furniture wax and transmogrified it into a living nightmare for me. I couldn't sleep all night. I carefully arranged some table decor to hide the mess and hoped that my Mom wouldn't find it. The next day I headed to the library (this was before the internet) as soon as it opened and looked through every Hints from Heloise book I could find. I found something about using mayo to fix water stains on wood furniture. It wasn't exactly what I was looking for, but it was all I had. I went home and grabbed the mayo. It actually worked!!! It took a LOT of rubbing, but you cannot imagine the relief I felt as the markings disappeared. Ha. I'm just picturing her walking in when you have the table covered in mayo and whooping your a**. Lawyers generally do not dislike each other. The prosecutor for your son's case and his defense attorney may very well be good friends. My brother upon finding this out went and got a new lawyer, who basically told him, "Hey literally every lawyer in this area is at the very least golfing buddies with that guy." My brother doesn't have the best sense for one reason or another and while he's sticking with this new lawyer he still can't wrap his head around the fact these guys aren't with or against him once the clock strikes five and gets pissy about how they're "probably plotting against" him. When I was a corporate litigation lawyer, I was taking a deposition on a $40M+ case. The lawyer defending the deposition was really aggressive about instructing the witness not to answer and it got heated between the two of us. Screaming at each other, threatening to call the judge's hotline on each other, unilaterally pausing the deposition to argue in the hall. After it was over, I mentioned I was probably going to miss my flight because the deposition took so long. He offered to drive me to the airport and we ended up bonding over liking the same music and both being stoners. He got me there in time to make the flight. Raise your hand if you're shocked. Parcels marked fragile are treated exactly the same as every other parcel. I'm an ex USPS worker. I can confirm, but I still mark packages fragile that I ship for eBay. It makes the buyer feel like you took precaution. I mean... why go home when there are free bagels? Tech companies that offer breakfast, lunch, dinners, and other amazing-sounding perks are just doing whatever they can to keep you at work for as long as possible. This was such a huge bummer to realize. I work in IT for a generic manufacturing company and always wanted to get a job with one of the big tech firms. Then I realized they give you all those perks so you can justify working 80 hours a week. I put in like, 35. My company just started rolling out complimentary snacks and such in the kitchen, and thus far, it's been an abysmal failure. On the low end, things are gone mere moments after they're restocked for the day. On the high end, those in charge of maintaining the program have confused human nature with a vast conspiracy theory, and now being caught eating something even remotely healthy-ish is grounds for and inquest as to where you got it and when. This wouldn't be problematic if I didn't bring my own oatmeal from home, which is one of their daily offerings. Those totally jacked-up personal trainers didn't get that way from the protein supplement they're trying to sell you. Creatine + Shake Weight = 22" biceps. Pretty sure. Want real live calls? Watch C-SPAN. Almost all of the calls you hear on your local radio station are not LIVE. They were recorded during the last song or during a commercial break. There are many sneaky ways to make a call sound LIVE. Thank you for saying this! Too many people cant understand that phone calls on air are clunky and awkward. If it goes smoothly, it's fake. You can tell when Everyone understands each other perfectly the first time without saying "what" , dropping a call, cutting out, or talking over each other. But over in the talk radio section where real calls are actually Happening, getting live callers to the point quickly is pain staking. Not really my industry anymore, but I used to work in a pet store (and now I work for a vet that works closely with several pet stores): if you're in a pet store that sells snakes, there's like a 75% chance at any given time that there's a snake loose in there. What about anoles? I hear they tend to bolt for the exit any time you open the cage to feed them or change their water. My local pet store had an escaped leopard gecko that had gone really aggressive. I asked to see it once (it was in the top cage) it jumped out of the cage just to attack the employee. It was hands down the most badass leopard gecko I've ever met. Drug abuse of every kind is normalized in the restaurant industry. It's crazy how many alcoholics/casual cocaine users I've worked with. Although heavy drugs are very much frowned upon, people will boast about killing a bottle of expensive whiskey the other night. In my restaurant experience the heavy drugs weren't even frowned upon. The kitchen staff sold to everyone who worked there(definitely including management), and that was considered the "nice" restaurant in town. At any given moment the whole staff is probably high/drunk. Good cake is good cake. I work at a grocery store bakery and the cake comes to us frozen. We hand decorate most everything, but the cake part is baked at our warehouse and shipped to us frozen. People are genuinely shocked that we don't make every single thing from scratch every day. That would take so long, there's no way. My own family raved about how good our cakes are and when I told them how they come suddenly they're garbage. It's just a grocery store, idk why everyone expects hand crafted artisanal cakes baked fresh every 10 minutes. Edit: just to clear this up in case you're imagining rock hard frozen cake, they don't get solid like ice. You can cut them while they're frozen or even crumble them up with your hands. They get way softer after they thaw but tbh some cakes taste better if eaten while frozen. Chocolate especially IMO. I worked for Starbucks for a long time and this is super relatable. No ma'am, no one came in and baked all these pastries so you could have cheese danish at 5 in the morning, it came from a freezer.